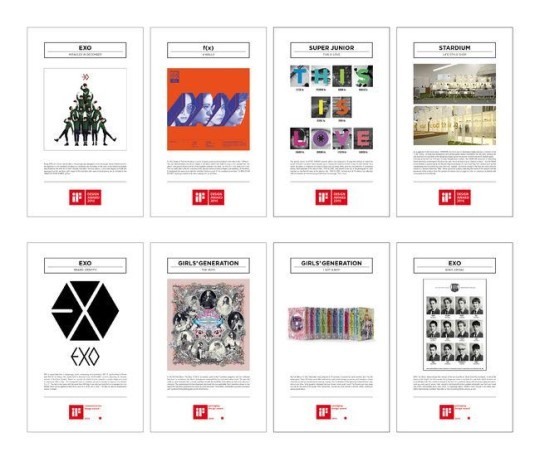 Album covers for SM Entertainment idol groups EXO, Super Junior and f(X) were chosen as grand prize winners at one of the three most prestigious design awards in the world ? Germany’s 2016 iF Product Design Award. However, this is not the first time SM Entertainment has won a noteworthy design award. SM has taken home awards from the Red Dot Design Awards, another prominent design awards, in 2014 for album covers designed for Super Junior, Girls’ Generation and SHINee. This makes them recipients of a total of eight design awards.